Why do I need a video? | An eye opener. Why Should I Use Video For My Business? A Real Eye Opener! There is a multitude of information out there regarding the correlation between using video and the different types of outcomes you can expect, whether those outcomes include increased engagement on your website, bringing positive ROI (return on investment), growing an audience or many other goals you may have in mind to influence your target audience. This page will list several statistics that support the use of video and its growing popularity as a way to connect with your target audience. But don’t just take our word for it. You are also encouraged to search the web and you will find so much information on this subject, it will be a real eye opening experience. A big WOW but are you really surprised? Humans tend to take the easy path when presented with choices. 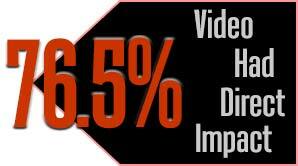 This is a huge measure of the effectiveness of video to make an impact. 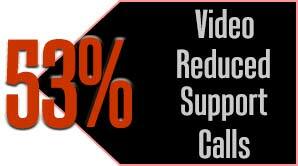 This includes a variety of ways video impacts small businesses. 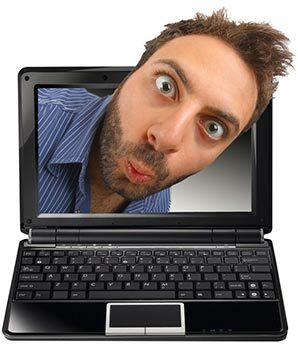 Some of these ways video impacts businesses are through conversions, traffic and brand awareness. We are referring to Explainer Videos here. Would you rather put your business dollars into selling more products, or supporting the products you sell? This goes for both pre and post product sales. Product support is a profit eater. People love video content, and they love seeing video strategies that answer questions, show how to use a product or service or teach them something. There are so many ways to connect with an audience by conveying your message through video. 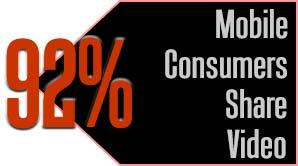 How do consumers feel about watching video on their mobile devices? Interestingly, a staggering amount of consumers have used their mobiles to watch videos, yet the majority actually prefer desktop as a viewing platform overall. This points to the fact that mobile is still behind in how responsive it is to instant streaming. Mobile still needs to evolve to be able to offer a seamless video viewing experience. 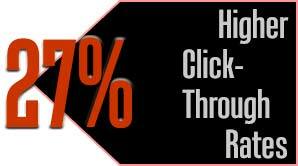 Video utilizers see 27% higher click-through rates and 35% higher web conversion rates. Do keep in mind that these numbers are based on quality videos that evoke emotions or revealing attainable solutions, etc. You must already be aware that mobile users surpassed desktop computer users a few years back, and that trend is only expected to continue. In light of that fact, you can see how important mobile users are when it comes to spreading the good word that was found in one of your videos. Folks - This is just the tip of the iceberg. We just wanted to show you a few of the many impactful effects the use of video can play, and how important it is to have in your marketing toolbox. Next, please visit our page that discusses our Video Production Process.